Lifting operations are carried out using Palfinger PK36002 crane that is capable of lifting 1.5 tonnes at 16 metres. 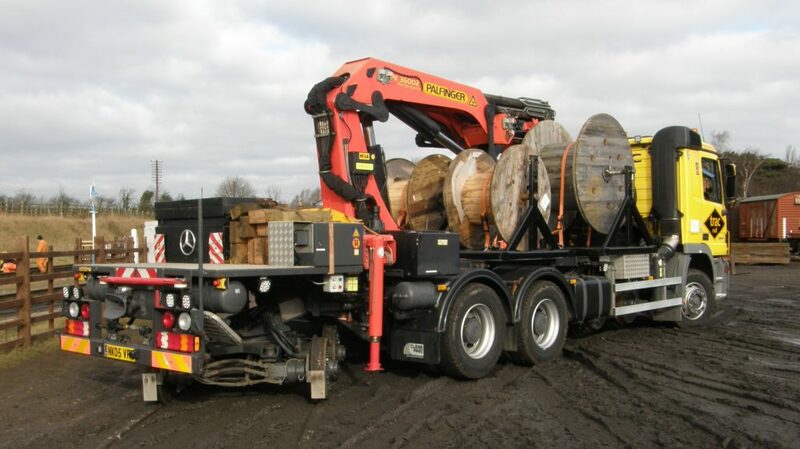 The Actros is available with purpose built twin hydraulic drum carrier, each drum carrier can be independently rotated from the body, and can reel in or feed out under tension. The lorry has the capacity to tow 2 trailers, which it can transport to site when equipped with a flat bed body. The trailers have extended tow bars to allow moving of long structures to the site. The flat bed can also be used for carrying tools or can be used for drum carriers or varying sizes.